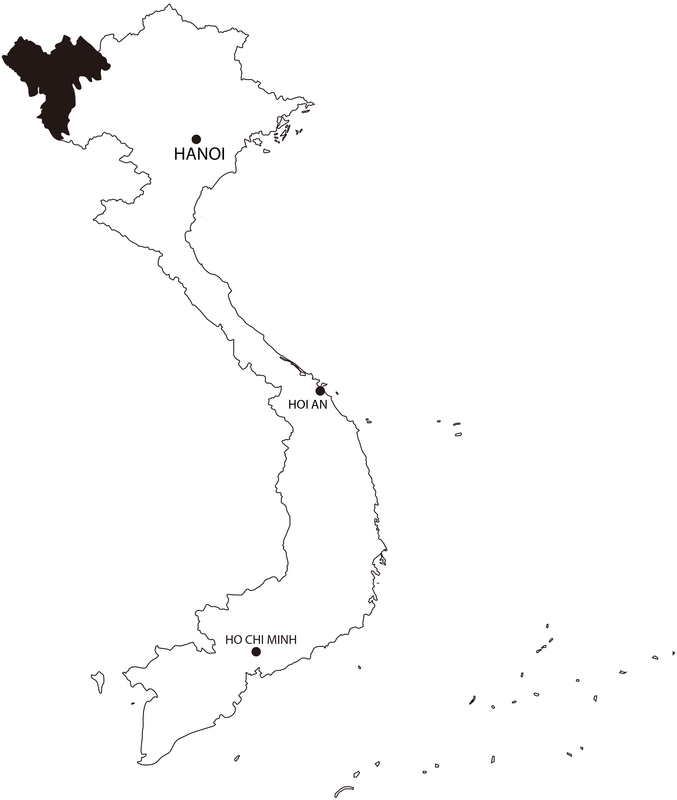 The Ha Nhi ethnic group is said to be organised into 2 subgroups : Black Ha Nhi and Flower Ha Nhi. I briefly met the Black Ha Nhi in 2014, and I came across them again while travelling in the Lai Chau and Lao Cai provinces in July 2017. That same trip, I also discovered a sub-group calling themselves Pink Ha Nhi, without it being officially identified. The Pink Ha Nhi stilt houses built on the mountain’s slopes differs from the Black Ha Nhi homes, made out of clay and straw, windowless, airless and whom blackened walls reveals their harsh conditions of living. Indeed, I haven’t seen many elders apart from Pu Lo Ma, 89 and her daughter of 60, the two oldest of the village. They invited me to share their lunch and by doing so, they allowed me to discover the welcoming nature of the tribe. Although my first impression was one of a hardened nature, probably due to a lack of encounter with foreigners. 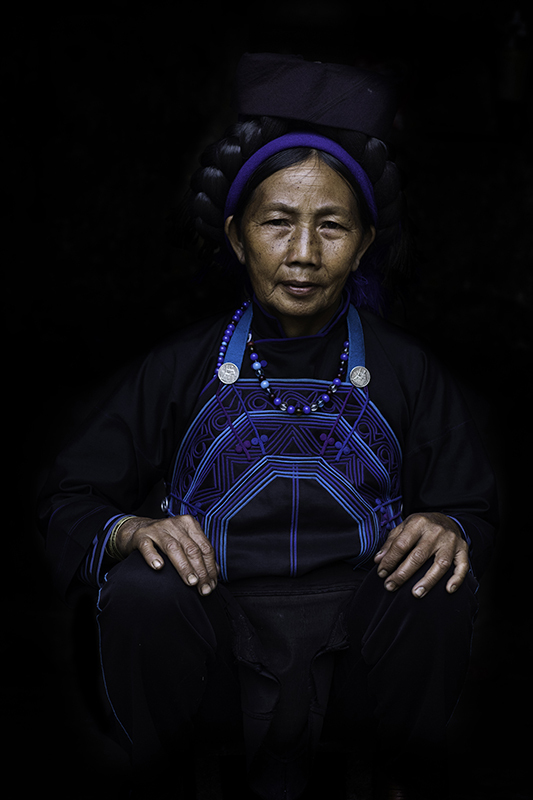 The cotton indigo costume is one of the most sophisticated of the northern region and the Black Ha Nhi one takes up to 6 months to make, including the stunning large braids made out of real human hair. In both villages, people were wearing the costume within daily life, but again, this time-consuming knowledge tends to disappear. Instead, women now buy cheap quality material directly from neighbouring China.